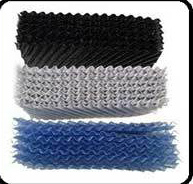 These are specially treated to offer maximum contact area for heat exchange. The proximity creates a diffused turbulence which is conducive to evaporation and efficient heat transfer. 5) Color : Blue, Black, White. 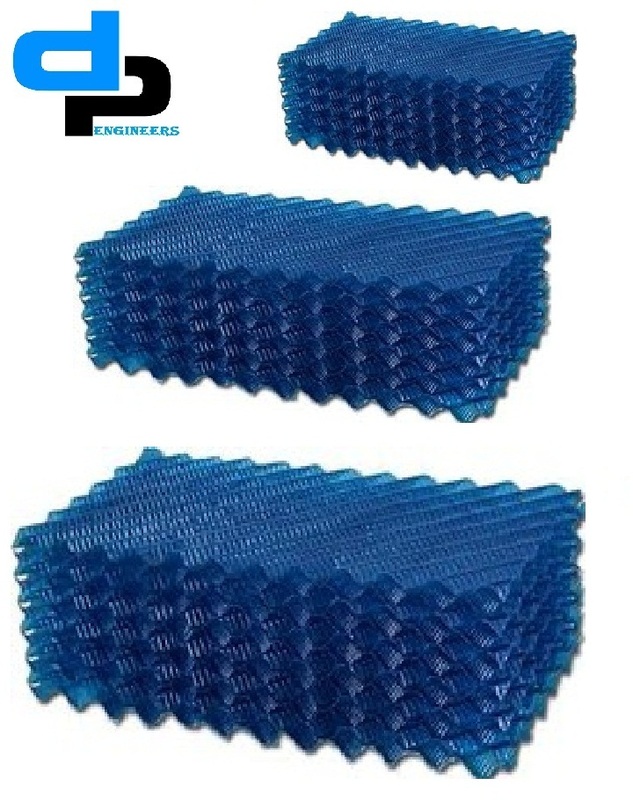 Specially treated to offer maximum contact area for heat exchange. 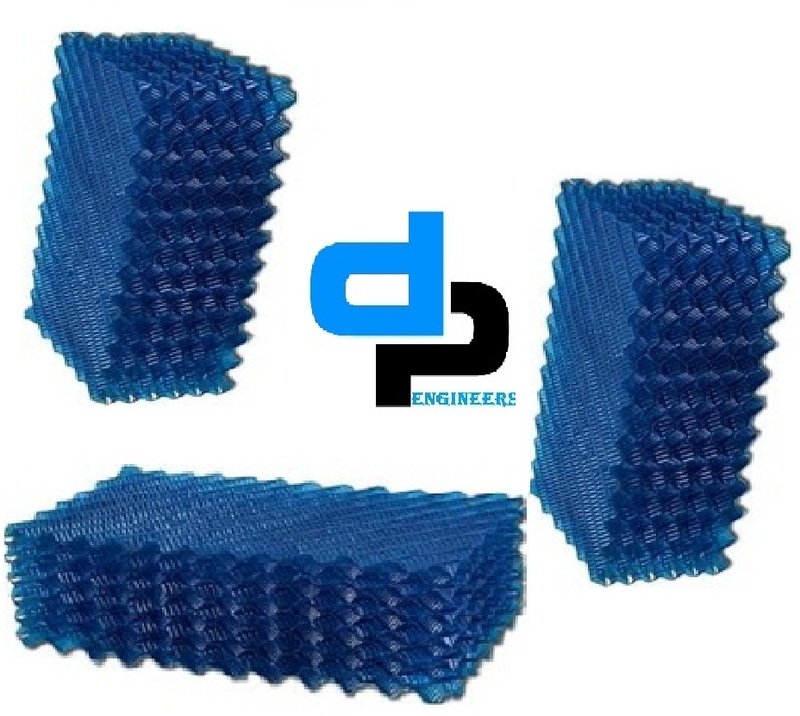 The proximity develops a diffused turbulence which is conducive to evaporation and efficient heat transfer. 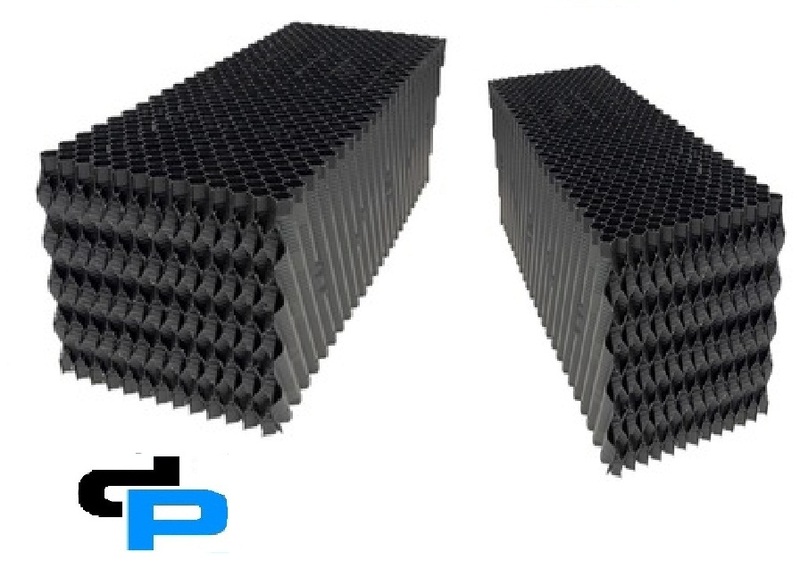 We have emerged as the foremost manufacturer, trader, exporter and supplier of Cooling Tower PVC Fill. 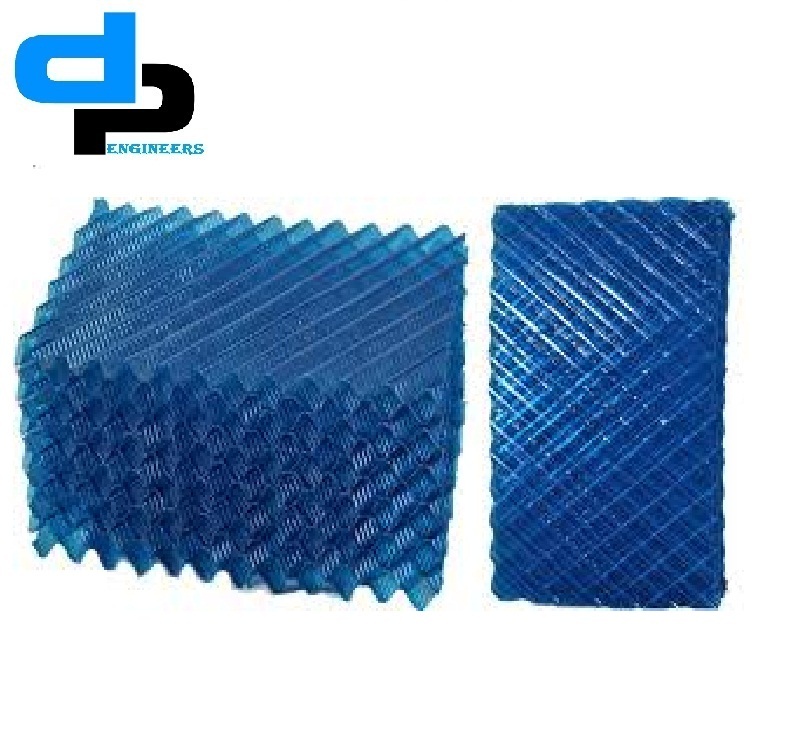 The offered pad is treated with stiffening and wetting agents to provide the cooling without any water carryover. Our quality controllers stringently check the entire range to ensures its superior performance. Apart from this, client can avail this pad from the market at most feasible price. 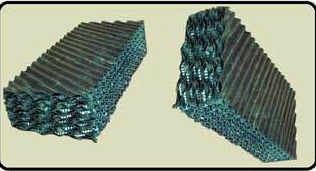 The evaporative cooling pad is cellulose material impregnated with insoluble anti-rot salts and rigidify saturates. 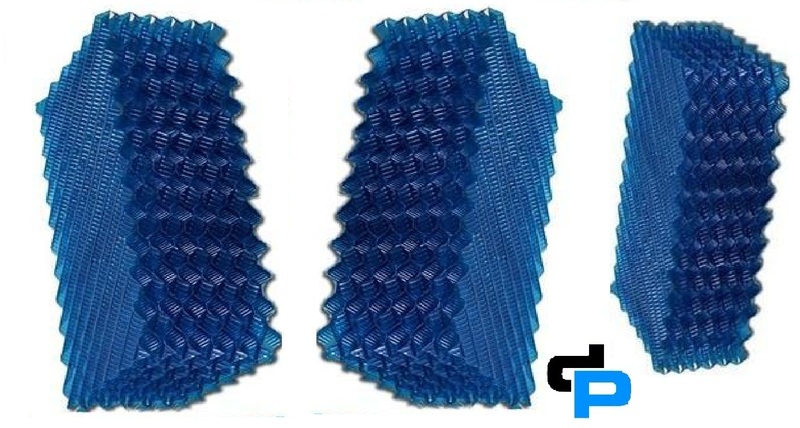 The material has spatial crossing linking technology with high absorb ability. It is water resistant, anti-mildew and has a long service life. 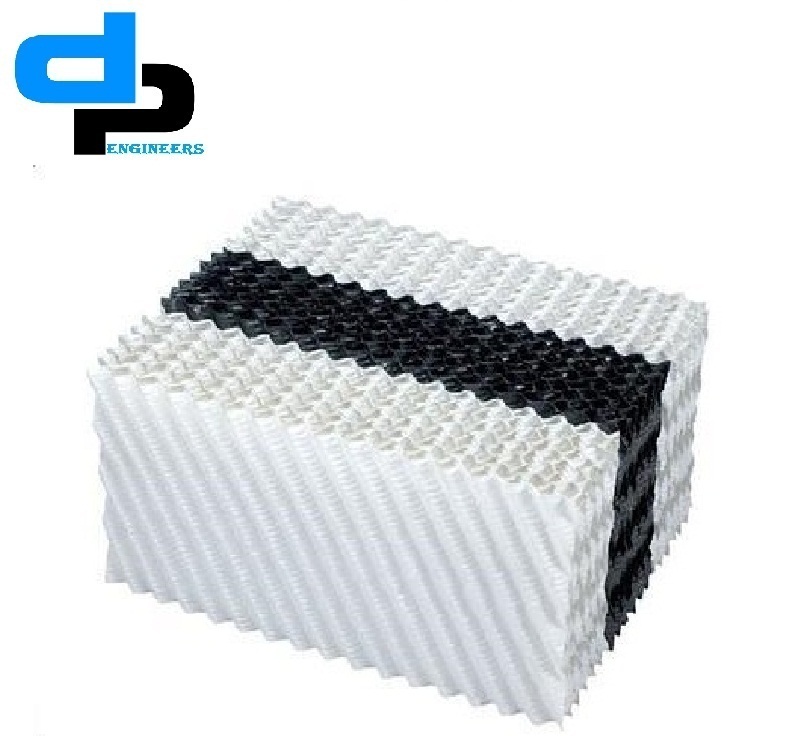 Owing to the immense experience and a competent team of experts, These PVC fills offered by us are made utilizing high grade raw material, which is sourced from trustworthy vendors of the market. 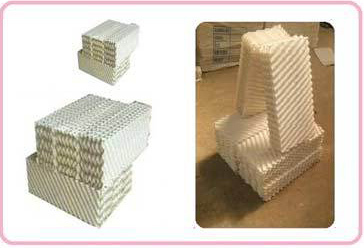 In addition to this, the offered range of PVC fills is applicable in humidification, effluent treatment, power, petrochemical, refining, paper chemical, steel and allied industries. 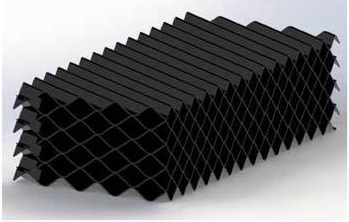 This PVC Cooling Tower Fills is known for distributing the liquid and gas across the many interconnected channels within the surface material. 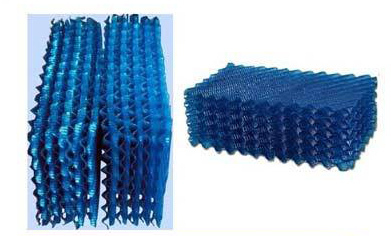 For inducing highly turbulent mixing between the water and the air, which increases heat and moisture transfer, cross fluted designs is introduced. The fill is of rigid ploy vinyl chloride (PVC) and is of Honeycomb design with very large contact surface area. 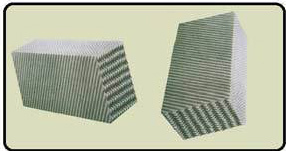 The fill splits the air and water into several streams, increasing the time of contact and also heat transfer between water and air. The fill is in modules and is packed in the air washer & tower casing without any cutting for curves. 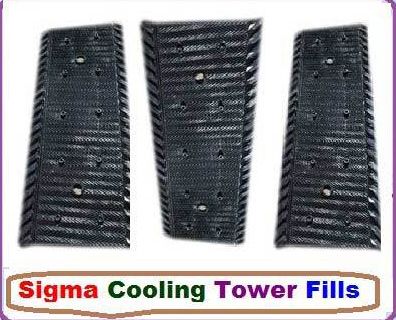 Our company is involved in the manufacturing of sigma fills, which are an essential component of all marley, paharpur cooling towers. 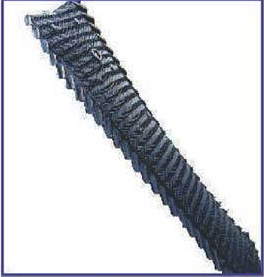 The fills are used for extended contact area having a high heat transfer efficiency. Over the years of experience in the industry, we have been able to provide the customers with a comprehensive assortment of Sigma Type PVC Fill. The offered range is widely used for transferring heat from hot water, without increasing the power need of the fans. Our range is widely used in varied industrial sectors such as effluent treatment, paper, steel, petrochemical, power, steel and other similar areas.